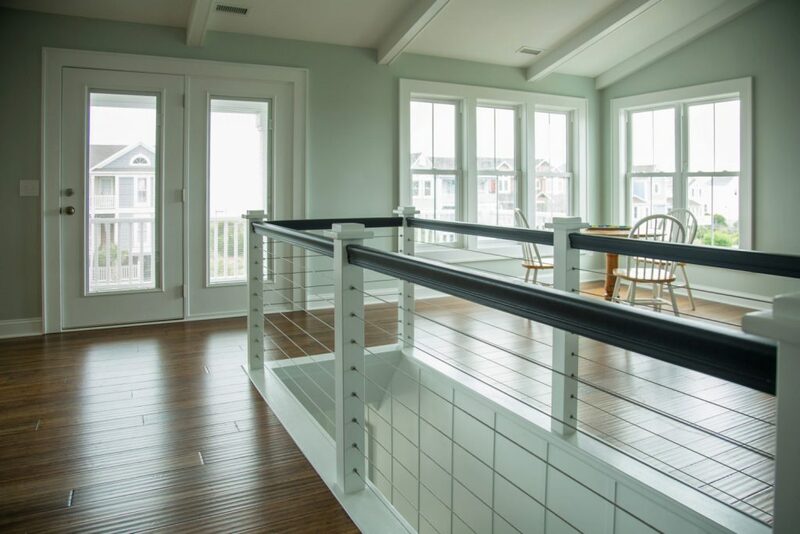 While cable railing on wood posts is frequently installed outdoors, it also looks great inside. In this photo, you can see our elegant DriveTite system installed on these traditional wood posts. The dark handrail offers additional contrast against the white posts and the stainless steel cable. Our cable railing for wood posts is just as easy to install inside. Furthermore, it has the same modernizing effect on the home.